In short – yes, it bloomin’ does! From the cool, futuristic packaging to the somewhat odd and gooey texture of the foundation – I am sold. The MCF is made specifically to suit ever woman’s needs – offering both lighter and fuller coverage, letting you choose which look to sport today. Amazing! And if you are still wondering how the Miracle Cushion Foundation actually works I shall explain: Basically, all you need to do is take the super soft and gentle sponge that come with the compact, press it down the cushion and apply the obtained color all over your face and neck – simples. If you are after more natural finish press lighter or if you fancy fuller coverage (like I do) just press the applicator deeper and voila – hello flawless complexion! You could easily build the Cushion foundation up to lovely medium coverage which I couldn’t be happier about! Apart from the hidden imperfections though, this beauty evens out the skin tone and makes my pores from pretty noticeable to barely-there as well. I am not a huge fan of matte finishes in general, so when I applied the Miracle Cushion Foundation for the first time I was smitten by its gorgeous satin finish, which makes the skin look luminous and the right amount of dewy, minus the oily part. The up to four hours hydration and supple skin effects are my favorite part, as well as the cooling fresh sensation you get when you apply the foundation – the perfect morning pick me up. The airy, soft and bouncy texture of Miracle Cushion feels featherlight and goes evenly and blends beautifully into the skin. Oh and in case all those praises aren’t enough, let me just tell you that this beauty has SPF 23 and photographs beautifully regardless. 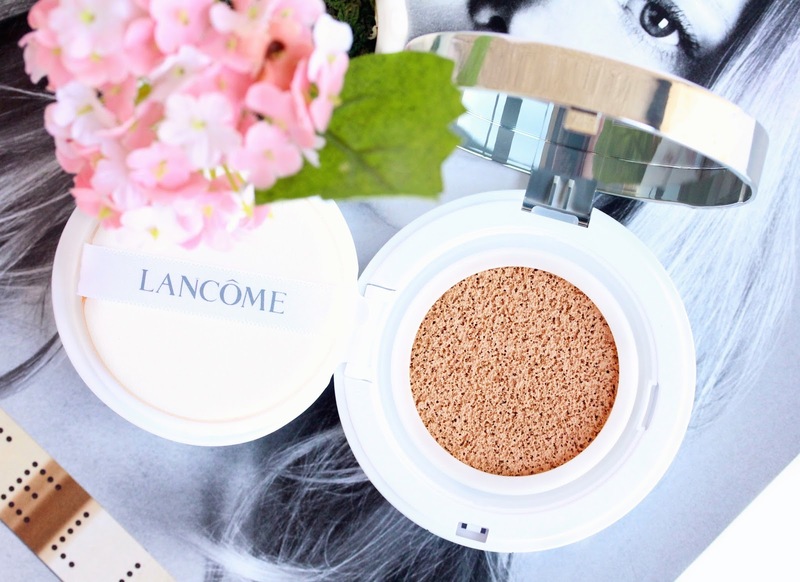 This innovative cushion compact definitely changed the foundation game for me and I love how quick and easy it is to achieve complexion perfection that lasts all day without budging. Miracle Cushion is really long lasting and the cool thing about it is that you can layer it throughout the day in order to inject some more moisture and keep everything fresh and healthy, but never cakey. Talk about fab beauty technologies! If you fancy giving the Miracle Cushion Foundation a try you should know that it is refillable and comes in 6 shades that are supposed to compliment all skin tones from the fairest to the deepest (I have shade #2 Beige Rose and it’s a great match for my skin). I feel like I need to mention that the only thing I am not sure about the cushion foundation is the hygene issue. The fact that you can’t really wash the applicator makes me a bit worried that it might eventually start causing breakouts and skin irritation but I’ll keep you posted on that, so stay tuned! Even if it does though you can always use a brush, which btw makes the finish evenly gorgeous! 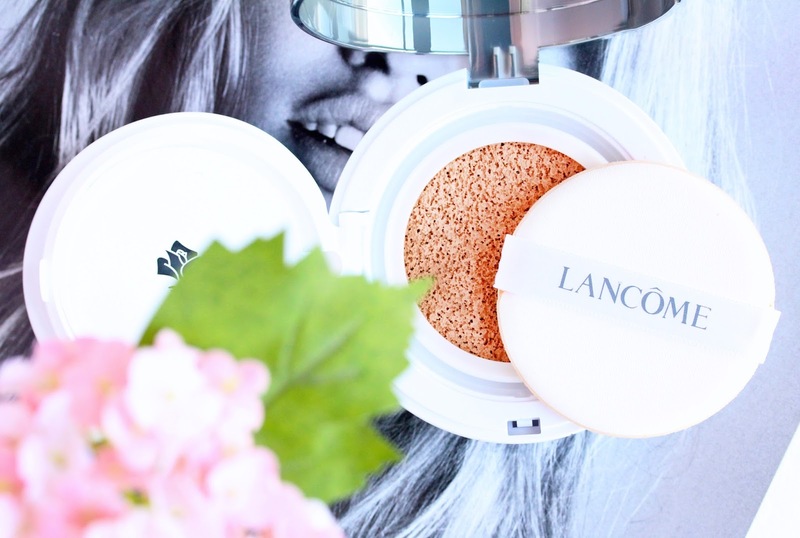 Have you tried the Lancome Miracle Cushion Foundation yet? Is it something you are interested in trying? Sounds very interesting indeed, specially if it makes your pores look smaller. I have noticeable pores and most makeup makes them look more noticeable, even with primer. I'd really love to see a before and after photo of the face! Great detailed post, I loved reading about this foundation and you'be got me very interested! It sounds very promising but I'm not sure about the hygiene issue too. I like to clean my brushes on a regular basis so I hope Lancôme sells the applicators separately as well so I could at least buy a clean one. This sounds so interesting and such a unique foundation. I'm so intrigued by it I want to try it myself. It sounds amazing as a pore decreaser! This sounds really interesting and now I am intrigued to try it! This beauty sounds and looks gorgeous. Great blog. Amazing prose. Breathtaking pictures. I have to say your blog has been my fav since long. Keep up the lovely work. Lancome do some wonderful products I find, so I can't wait to give this a whirl. The finish sounds perfect for me! I really want to give this a go! Especially as I know Lisa Eldridge was part of the invention! Great review and amazing photos. good on desktop, computer, laptop. It can be installed in Windows xp by using selena gomez snapchat Google bank account if you have got not really added before good. good Chromecast, which enables you to bring the media mobdro app to your tv display utilizing Chromecast. Even better.